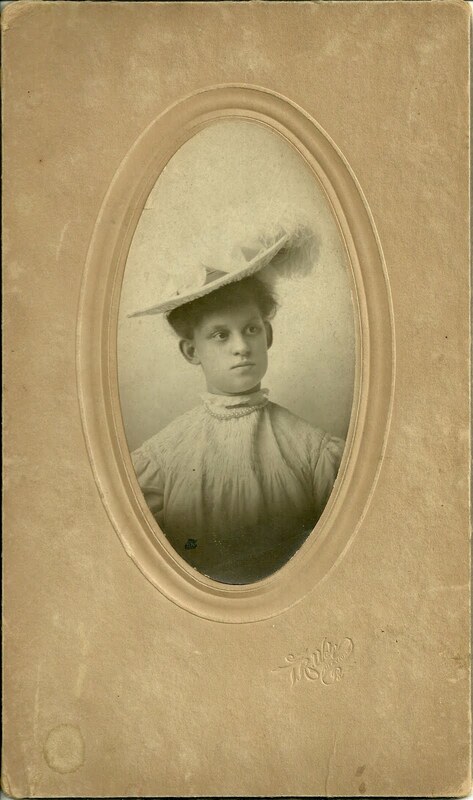 Photograph of Mary Sybilla Mohr, who married Arthur A. Reabuck. Mary was born about 1886, probably in Allentown, Pennsylvania. I haven't yet been able to nail down her parents, as, from searching only online, there are several possibilities. If you have any answers to this mystery, please get in touch with me. 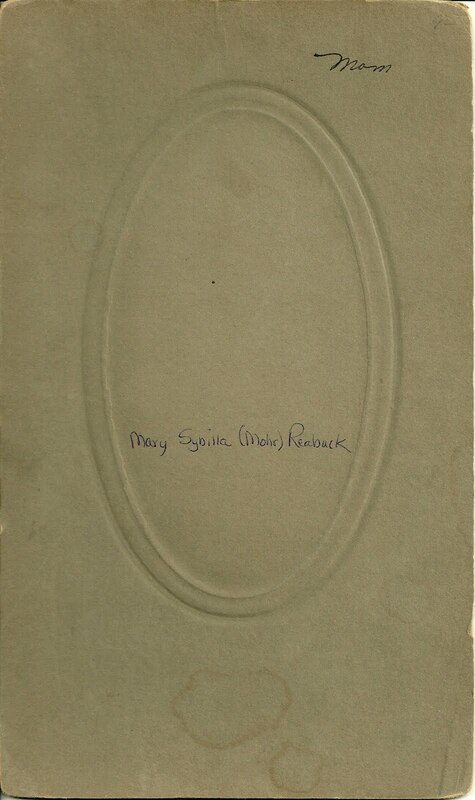 Her husband Arthur Andrew Reabuck was born in 1882, the son of Edward and Rebecca (Ressler) Reabuck. He and Mary had several children. It appears that continued to live in Allentown for their married lives. 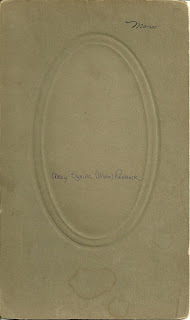 As you can see from the reverse of the photograph, someone has written "Mom" on it, which gives the photo special significance. Again, if you have any insights into this family, please contact me.